Justo Rodero produced plastic coated playing cards with the registered trade mark 'Celuplastic'. 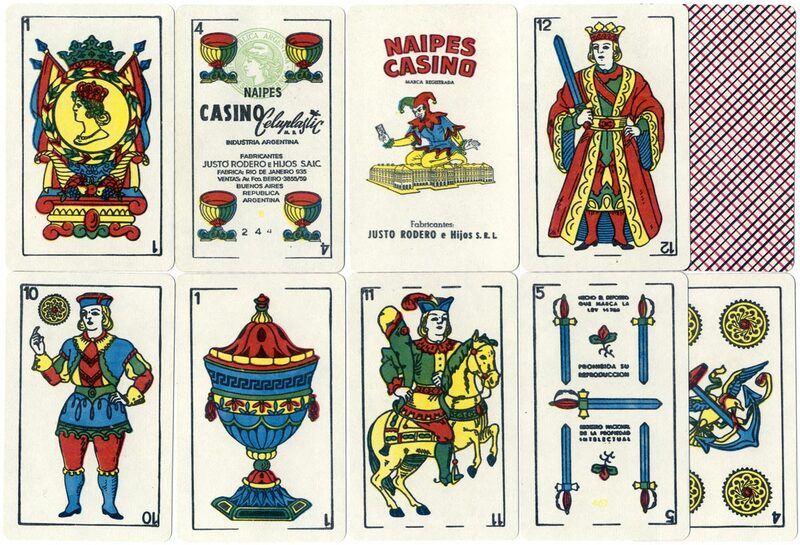 Apart from the different box design and four of cups (shown right), in all other respects packs were the same as their regular 'Naipes Casino' and 'Naipes Habana' brands. The full 48-card packs also contained 2 Jokers. 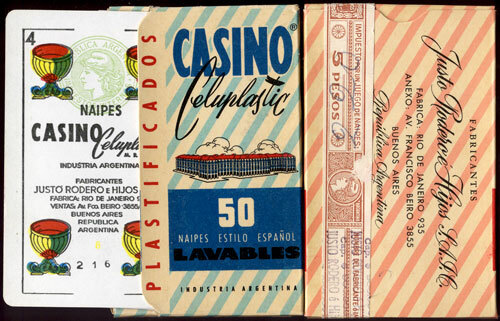 Below & Right: cards from "Naipes Casino Celuplastic" manufactured by Justo Rodero e Hijos, Buenos Aires, c.1967. The address given on the four of cups and box is Avda Fco Beiro 3855/59, Buenos Aires. A brown 5 pesos tax band [Ley 16.656, 1965-67] is affixed outside the box, and the four of cups has the 'Marianne' internal revenues tax stamp.